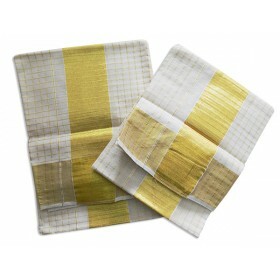 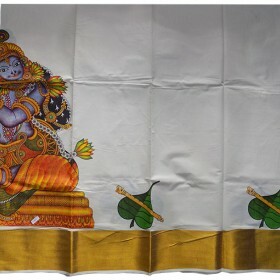 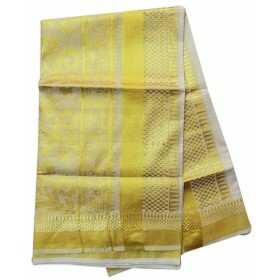 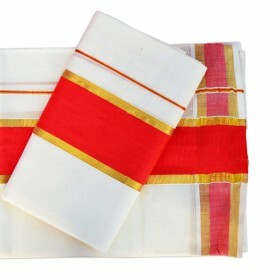 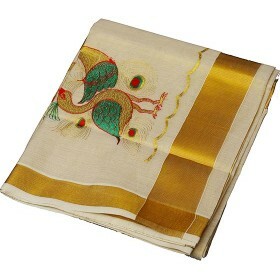 This is a fusion piece to get a trendy feel in your traditional Kerala saree of pure cotton fabric w.. 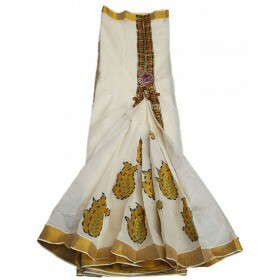 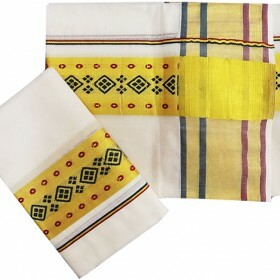 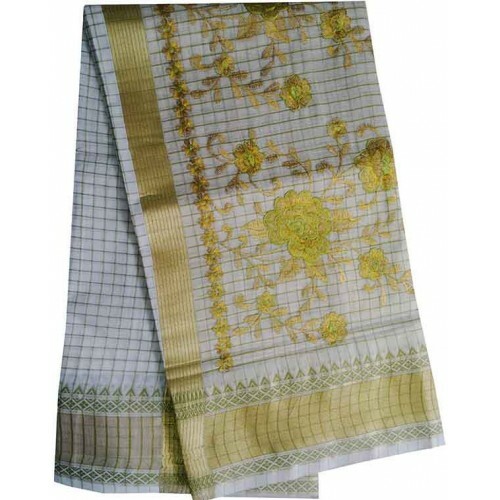 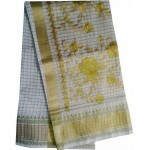 Elegant look traditional kasavu saree with check design with embroidery and border of the fleets. 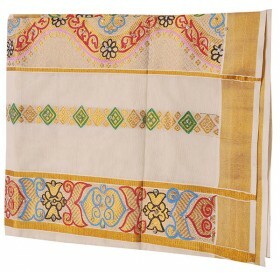 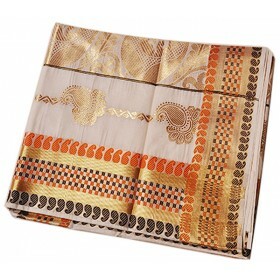 The off white saree with check design gives the royal look. 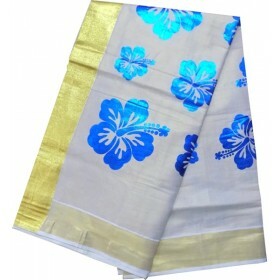 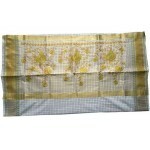 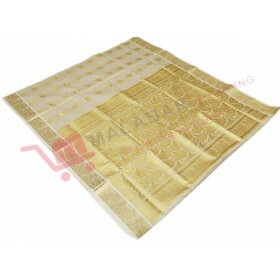 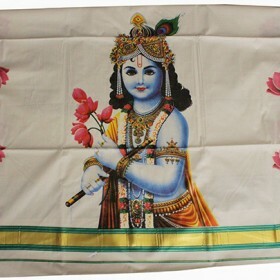 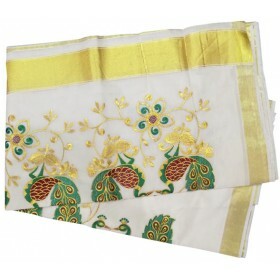 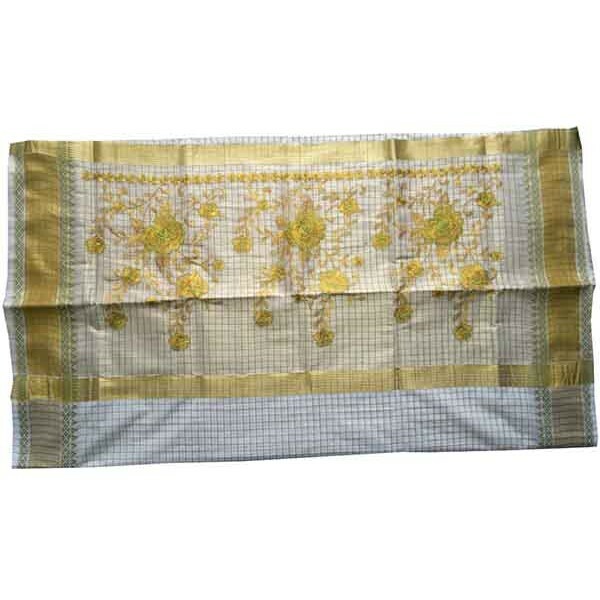 And the attractive flower design on pallu gives the traditional elegance.